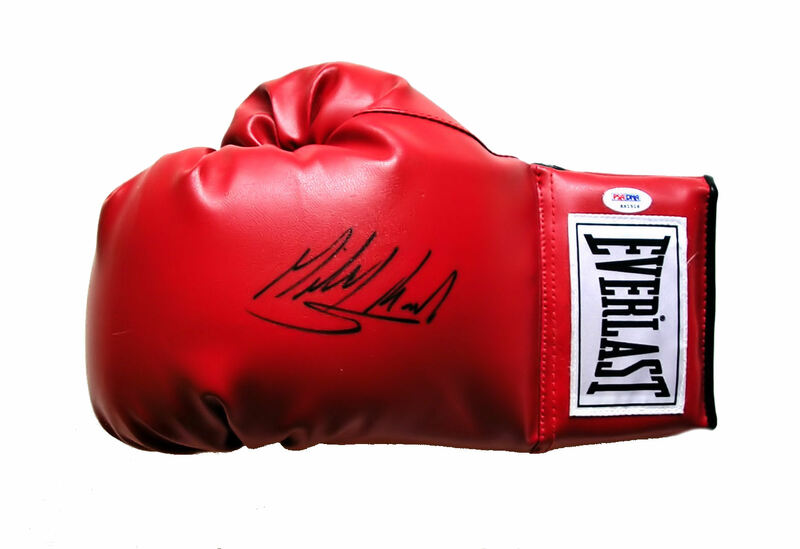 Description : Here we have a superb Mikkel Kessler Signed 12oz everlast boxing glove.......Kessler is a four-time super middleweight world champion, having won the WBA title three times, unifying the WBA and WBC titles.......Kessler then met fellow undefeated champion, Welshman Joe Calzaghe, in a bout that would unify his WBA and WBC super middleweight championships with Calzaghe's WBO and The Ring titles. The bout took place at Cardiff's Millennium Stadium on 3 November 2007, in front of over 50,000 fans (then the largest indoor boxing event in European history), and Kessler lost the unification bout via unanimous decision, with the judges scoring the fight: 117-111, 116-112, 116-112.......After Calzaghe vacated the WBA title to move up to light heavyweight, Kessler was put in a match with Dimitri Sartison on 21 June 2008, for the vacant belt. Kessler knocked out Sartison in the final round to regain his title........ His first fight was against Andre Ward on 21 November 2009 for Kessler's WBA Super Middleweight Championship in the Super Six World Boxing Classic. On 21 November 2009 Kessler lost his championship to Andre Ward. The fight was stopped in the eleventh round due to cuts on Kessler's face caused by what were deemed as unintentional headbutts by Ward. 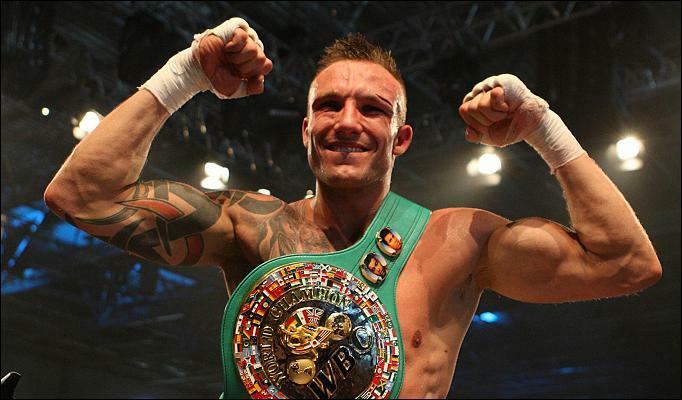 The fight went to the scorecards and Ward was far ahead by scores of 98-92, 98-92 and 97-93 at the time of the stoppage.......Mikkel Kessler regained the WBC title again on 24 April 2010 when Kessler returned to fight against Britain's undefeated WBC Champion Carl Froch, a match that was called "a classic" and "one of the best matches in Danish boxing ever." The contest went the distance and Kessler was handed a unanimous decision with scores of 115-113, 116-112 and 117-111. With the win, Kessler became a two time WBC Champion, handing Carl Froch his first defeat in the process.......This glove comes with the COA from Global Authentics along with a lifetime and beyond guarantee of authenticity from KOfightposters.com.